We have carefully budgeted our Classic Pilgrimages for families, couples and single travelers so that they can experience the unique qualities of Inside the Vatican Pilgrimages at our most affordable price, without sacrificing Inside the Vatican integrity and style. These pilgrimages are limited to 35 pilgrims, never more! We cap the number of pilgrims because we want to keep each pilgrimage as intimate as possible. what is a classic pilgrimage? Then we will spend time encountering St. Peter by attending Mass at St. Peter’s Basilica and receiving the Angelus message from Pope Francis in St. Peter’s Square. Next, we will travel to Subiaco to explore St. Benedict and the monastic life with a reflection by one of dear friends, a Benedictine monk. 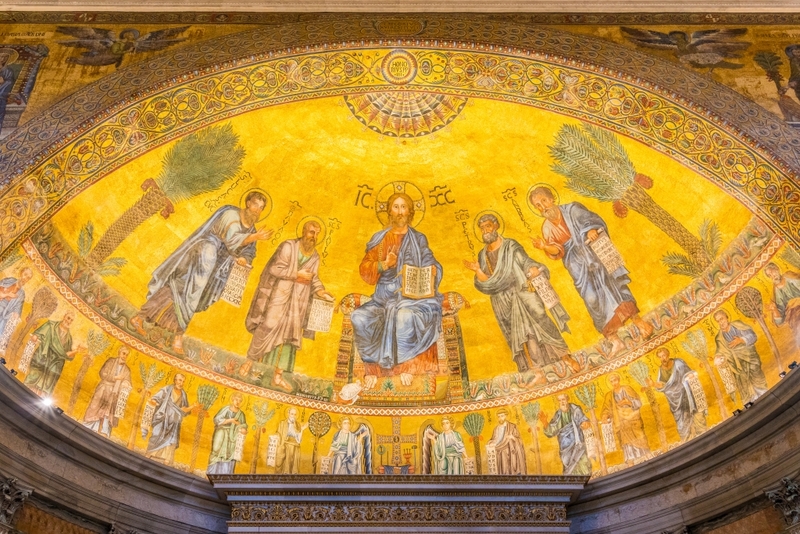 Thereafter, we will journey to the south of Rome where we will learn about St. Paul. Our “Day of the Ordinary Pilgrim” will include attending the Papal Audience and enjoying a walking tour of Baroque Rome led by Dr. Robert Moynihan, founder and editor of Inside the Vatican magazine. While in Assisi, we will encounter the life of St. Francis, the “Extra-Ordinary Pilgrim.” Finally, we will spend a day with Mary and the importance of mission. 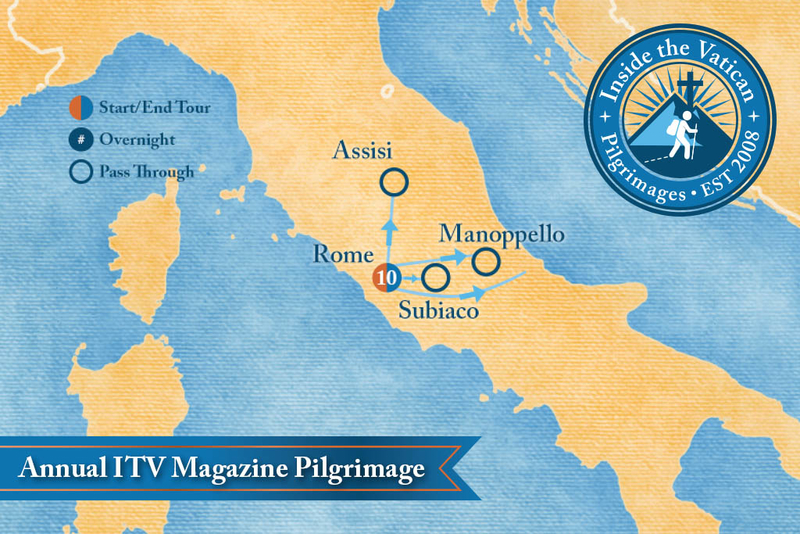 To end this special pilgrimage, pilgrims will attend and participate in a Vatican Forum. A panel of Vatican experts and staff members moderated by Dr. Robert Moynihan, will discuss and answer questions on pressing issues facing the church today. Click to Learn About the Accommodations for this Pilgrimage: the Villa Serenella! Information and Registration packet will be available soon! Spend eights (8) nights at the Villa Serenella, the Maronite monastery in Rome.